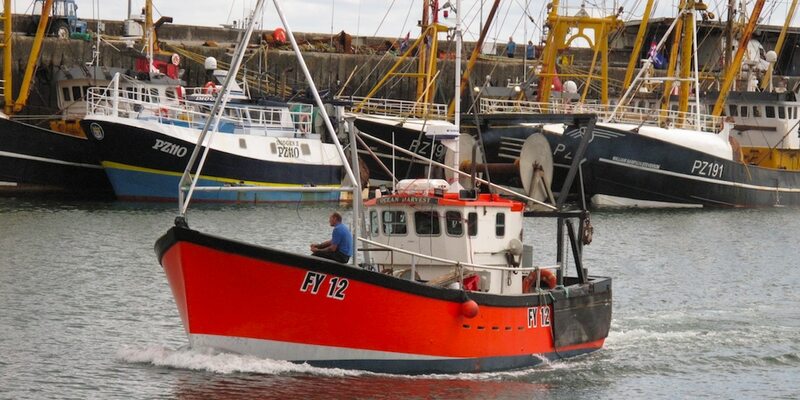 The NFFO has responded to the UK government’s plans for catch reporting for the under-10 metre fleet, stating that plans have not been properly thought through. Defra, the Welsh Government and the Marine Management Organisation are consulting on a new requirement for mandatory catch reporting for the under-10 metre commercial sea fishing fleet in England and Wales which could require all under-10 metre vessels to provide catch information on species subject to quotas, catch limits or effort restrictions, via a mobile device (a smart phone or tablet), prior to the fish leaving the vessel. Vessels which only catch non-quota species would be required to record their catches via a smart phone or lap-top within 24 hours. For all catches, (quota and non-quota), a declaration would be required within 48 hours, providing accurate weights of all species landed. The NFFO’s position is that the under-10m sector continues to be disadvantaged by patchy and incomplete collection of catch data. ‘Stocks such as skates and rays, which are important for many small-scale vessels, when categorised as data-limited or data-poor, have been subject to a fundamentalist interpretation of the precautionary approach, triggering 20% annual reductions in TACs over successive years,’ the NFFO states. According to the NFFO’s spokesman, accurate catch data is likely to become more important in the future. In addition to choke risks, the design of light touch management measures for genuine low impact vessels is likely to require better catch data from the small-scale fleets than has been the case to date. But there are reservations, and the NFFO’s position is that the consultation reflects a regulatory approach that is insufficiently grounded in an understanding of the practicalities involved, or the specificities of the fisheries concerned. The NFFO comments that the consultation suggests a blanket bulldozer approach, when a more discriminating application would deliver better results. The NFFO recommends avoiding the arbitrary timetable proposed and a move away from a blanket approach. ‘Instead, begin a national conversation with the different small scale fisheries in the ports and creeks about the pros and cons of improved data and the means available to secure it. This will certainly involve effort and delay but our considered view is that in the long run it will deliver better outcomes,’ the NFFO’s spokesman commented.